Events and remembrances will recall the day's events, and its aftermath. There are those who study the relationships of time and memory and how they correspond with a particular event. How long something took to happen is considered, and the length of time and recollection that people later spent considering the event and its aftereffects. An earthquake, and certainly one that registers a 6.7, can be the briefest of happenings with the longest of after-ripples. Angelenos have seen exactly this with the 1994 Northridge earthquake, a seismic stunner that still is a regular and emotional topic of conversation, two decades on. Do you remember exactly where you were and what happened? NBC4 has created @RealTime94Quake, a Twitter account that will capture the quake, moment-to-moment, starting at 4:30 a.m. this Friday. For Friday, Jan. 17 marks the 20th anniversary of the Northridge quake. Beyond following on Twitter, there are a number of happenings scheduled that will allow people to reflect and remember. Scientists will also speak on quakes, too. An Are You Prepared? seminar, led by Dr. Lucy Jones, will indeed ask that very question, and give tips onto how to reach that all important point. That's on the evening of Jan. 15, at Shepherd Hills Church, while a two-day symposium on the earthquake heads for UCLA. Discussing "(n)ext steps" is one of the symposium's goals. And on the anniversary itself? A public commemoration will take place at the Northridge Recreation Center. That starts at 6 a.m. and people will be invited to "share stories." Likewise, an event at Cal State Northridge will also look back on that day, and the focus is very much about how far Northridge has come, with new initiatives and growth. The event's name? The looking-forward, positive-minded Valley of the Stars. 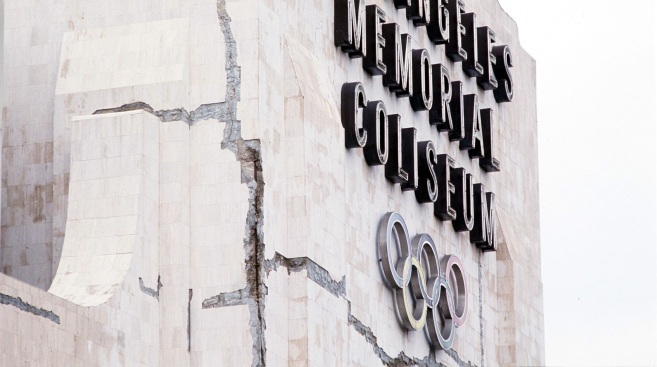 For all Northridge earthquake happenings through the 20th anniversary week, read on.